Too many buildings allowed in flood zones? French President Nicolas Sarkozy promised an investigation into building policies in France’s coastal regions on Monday, as he visited the areas devasted by Storm Xynthia. 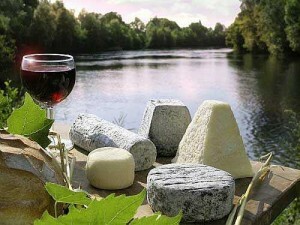 Sarkozy also pledged 3 million euros of state aid to help victims of the high tides and gale-force winds. 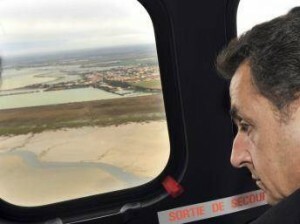 The government must “shed light on this unacceptable and incomprehensible tragedy as a matter of urgency,” said Sarkozy during his tour of the badly hit region of Vendée on France’s west coast. “We are going to reassess building policies so that a catastrophe of this nature does not happen again. The extent of the devastation caused by Storm Xynthia has drawn attention to the number of building permits granted in areas of France known to be at risk of floods. Since 1999, 100,000 houses have been built in the 27,000 square kilometres of the country considered vulnerable to flooding. French legislation forbids construction only in the most exposed areas. It makes no prevision for the demolition of buildings erected before the law came into effect in 1995, even where new construction is banned. France must “tighten the rules” on building in flood zones, said Secretary of State for Ecology Chantal Jouanno on Monday. “There must not be any construction in areas behind sea walls,” she insisted, adding however that the government is in a “perpetual battle” with people who accuse it of wanting to block development. As well as residents of coastal regions, France’s seaside industries have also been badly affected by the high tides and fierce winds. In addition to the 3 million euros for storm victims, President Sarkozy announced a separate aid package for oyster farmers on France’s Atlantic coast. Salt farms in Guérande, Brittany, that produce gourmet fleur de sel have been flooded, while farmers across France have seen their crops destroyed by 150-kilometre-per-hour winds. Floreal, Prairial, Messidor…. What comes next? 5/3/2010 correct answer received from Gee Greville. Thanks for your comments, Gee. I’ve had to hide them otherwise it would give the answer away!